IT Project Manager, with MBA. Enjoys cycling and triathlons. Life is never at a standstill and neither am I. 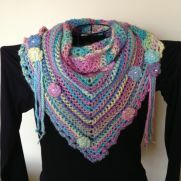 My two favorite hobbies or passions are cycling and crocheting. Especially during the Winter months, I crochet every free minute that I have. 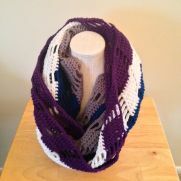 Also, I have a shop set up on www.etsy.com, go there and look for CrochetStyleista to view and purchase my work. Thank you. 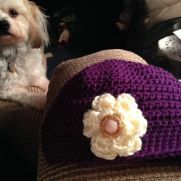 Ladies Beanie hat with flower.